It’s an entertaining investigation of scads of unspoken behavioral rules in English culture, including the functions of weather-speak, importance of fair play and “the drama of queuing.” Naturally, I went straight to the chapter on food rules and table manners. As a tea-drinker in our more egalitarian America society, I never thought of my tea taking habits as projecting traits that could be judged by those employing class-conscious radar. (The only judgments I am aware of here in the Bay Area are from inveterate coffee addicts). I was fascinated to read Fox’s accounts of the hidden rules for eating the most mundane meals in England, which illustrate that in a “highly class conscious culture” the way you stir your tea broadcasts your social standing. For example, Fox reports that “taking sugar in your tea is regarded by many as an infallible lower-class indicator: even one spoonful is a bit suspect…more than one and you are lower middle at best; more than two and you are definitely working class.” Other emblems of lower-class tea drinking behavior include putting milk in the cup first and stirring noisily. According to Fox, whenever English people feel at a loss for what to do in a socially awkward situation, it’s time to put the kettle on. Encountering a lull in the conversation, dealing with a bad accident where people are in shock, or having to discuss a taboo subject such as money, can all be eased by a spot of tea. I imagine if they included Olympic events related to food, France would have a good shot at a medal while England would probably not even qualify, but if they added a competition in polite rule making, England could sweep the gold. 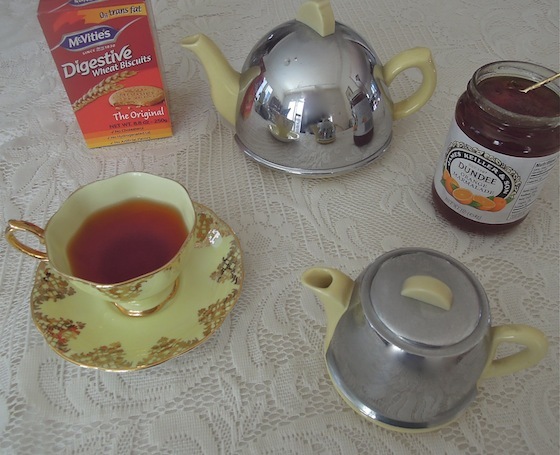 This entry was posted in English food, Politeness and tagged cultural differences, english breakfast tea, English tea, English toast caddy, Kate Fox, tea drinker, Watching the English. Bookmark the permalink. 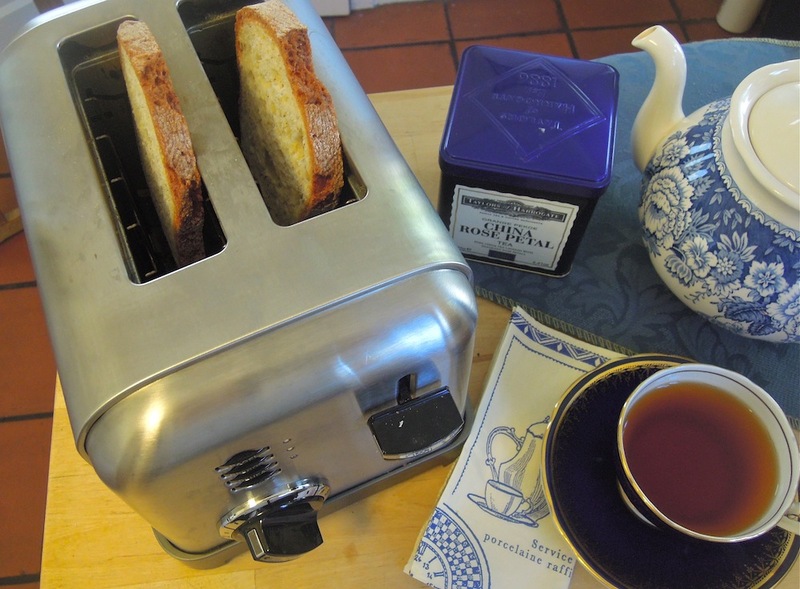 I’m English and I love warm, soggy toast. 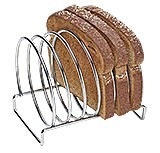 Infact calling it toast may be incorrect as I never give it time to actually become toast, so I suppose it is warm bread really. Lovely tea sets! Could you tell us more about them? I enjoy my black tea with milk, no sugar, unless it’s chai masala. I tend to prefer chunky jams but that’s because I love fruit. Thanks so much for noticing. 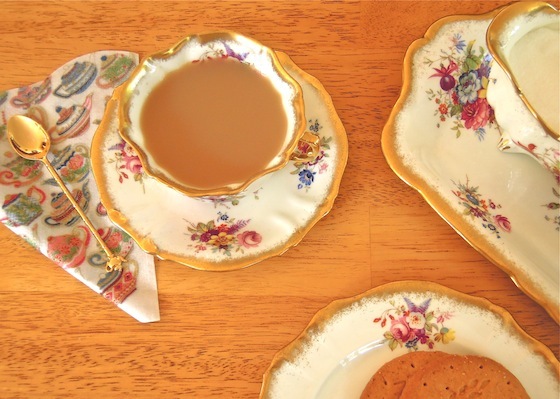 I am grateful to have inherited my grandmother’s large collection of English bone china teacups and it was fun to be able to feature some in a post. I also collect tea pots and accessories. Was wonderful to share these with my daughter when she was young. And she still appreciates them now when she comes home from college. Reblogged this on Official Site of Emma Jameson, New York Times Bestselling Author. 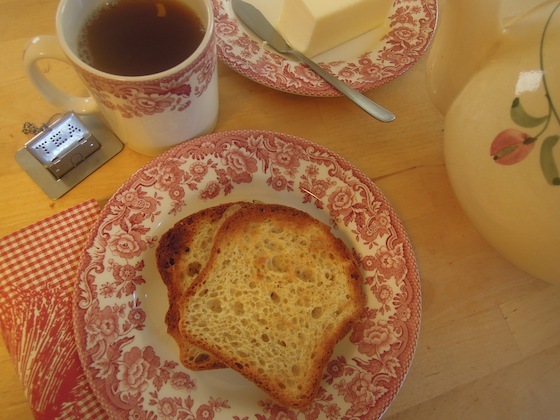 I stumbled on this blog trying to find out if Americans like marmalade. 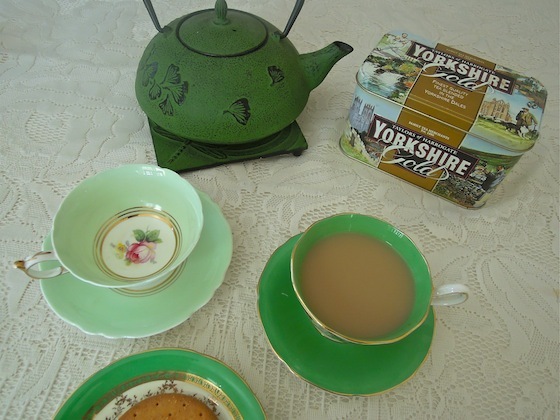 I just had to comment to say I’m rather impressed with the tea on display – Yorkshire Gold! Proper tea! So glad you approve. It’s the only one for me! Other teas seem blah in comparison. And I credit my grandmother’s childhood in Winnipeg, Canada for my love of Dundee Marmalade.